Description: DecoArt Americana Decor water-based paints and mediums that let you create stunning home decor and furniture pieces. 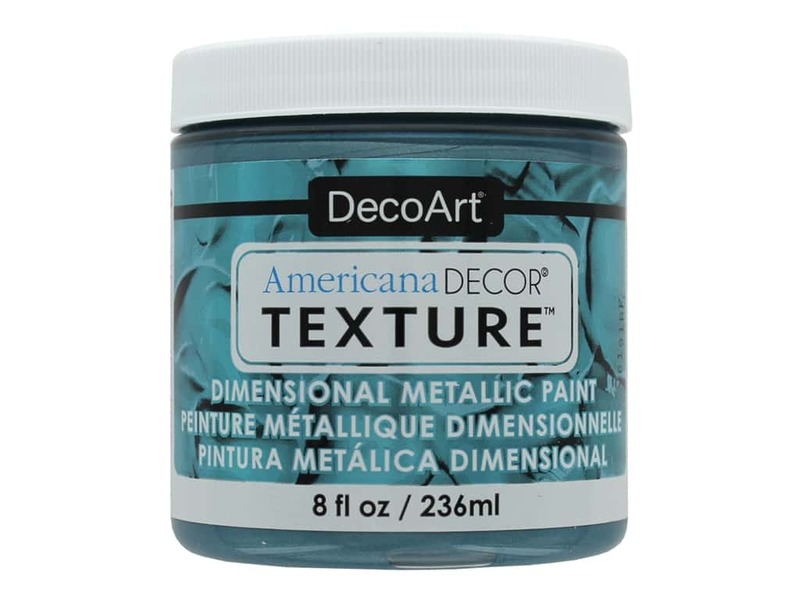 Texture Metallics Aquamarine 8 oz- Embellish furniture and home decor pieces with added dimension and texture. The heavy-bodied paint makes building texture easy and possesses excellent adhesion properties. Easy to apply through a stencil.